All of our machine services offered are guaranteed at a low flat rate price per job (price of parts not included). We strive to make sure the work is done right and you are happy with the service received. We work on a first come first served basis and can not guarantee a time frame as to when the work will be completed (we have no control over how long it takes to get parts). We do our best to get them done in a timely manner however some issues take longer to resolve than others and your understanding is greatly appreciated as we want to give you the best service we can. No refunds will be given on machine repairs. We strive to give the best customer service we can we guarantee our work for 30 days with receipt. We will do our best to make it right if a related problem arises. We can make house calls with an appointment you will have to call for details and arrangements. Arlington, Lewisville, Garland, Mesquite, Duncanville, Sachse, Wylie, Red Oak, and Denton. We are also pleased to bring you the Embroidery Design Studio. Your source for machine embroidery supplies and high quality, innovative and creative embroidery designs, available as download or on CD. Click the link on the butterfly to follow the link to our store. 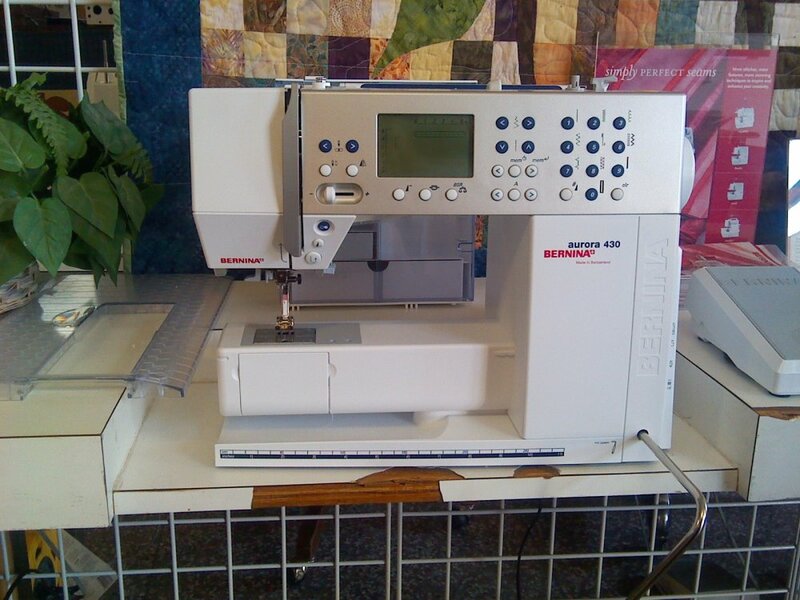 Come in to Bell's Bernina and check out our selection of used machines. We still have a few of these machines left at a price that is sure to please. Come on in and try them out. 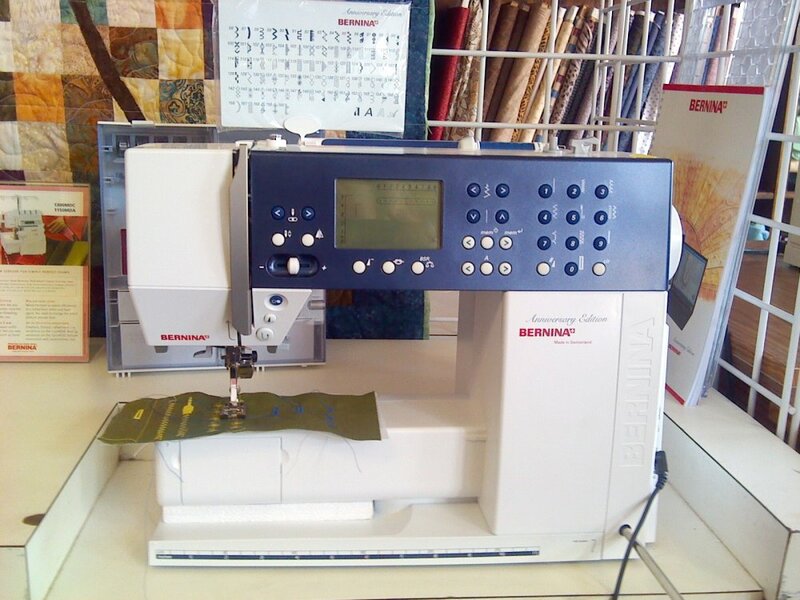 Bell's Bernina is your best source for sales services and repair. Our company was established 42 years ago as the first Bernina dealer in the state of Texas. We strive to provide fast, honest and affordable sewing machine repairs. If you are in the market for a Bernina sewing machine or Embroidery machine then Bell's Bernian is the place for you. We are family owned and welcome people from all areas to come join our family of Bernina owners. We service everything we sell here in the store and we only carry the Bernina sewing machine because Nothing sews like a Bernina Nothing. If your machine is in need of a tune-up or just needs a good cleaning. We’ll have you sewing again in no time at a price sure to keep your wallet happy. Our goal is to provide the most professional full service Bernina store for home sewers. All of our services are offered for a guaranteed low fixed price. Unlike most of our competition, we don't charge hourly rates. We'll finish the job for the price quoted no matter how long it takes. If we can't fix it we send it back to Bernina of America to make sure that its fixed right. We are pleased to bring you the new 8 series. This is the newest line of Bernina sewingmachines. Come on by the store and give it a test run it is sure to delight. Check out our new store at Embroidery Design Studio.